Our ability to understand and to talk to each other is increasingly determined by our political leanings. When we all sit down for family Thanksgiving in a couple of months, politics is likely to be off limits at many tables. But is it also off limits in the courtroom during voir dire? Some judges and some attorneys seem to think so. 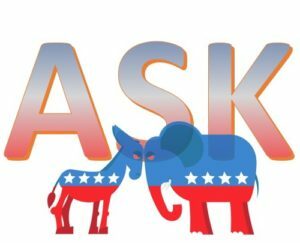 The feeling is that asking about politics is too direct and potentially threatening, creating the feeling that you’re invading the privacy of the voting booth, or asking about personal details that don’t seem germane to the case. And sometimes, that practice of steering clear of politics is one that is followed even when a case is politically charged at a very high level. Take the Virginia trial last month of former Trump campaign chair, Paul Manafort, on tax and bank fraud charges. As I wrote in an earlier post, prosecutors in that case proposed a juror questionnaire that entirely avoided the attitudes of potential jurors toward politics in general and the Mueller investigation of those surrounding the President in particular. In that trial, the prosecution did not get the questionnaire, and also (apparently) did not get a fully-effective read on political attitudes. The jury ultimately convicted on eight charges, but hung on the remaining ten due to one juror, a Trump supporter, who resisted conviction on the majority of counts. Now, attention is focusing on Manafort’s next trial set for later this month in Washington D.C. Judging from a recent article in Newsweek, the takeaway is that it is now even more important to pay attention to political leanings. The author quotes high-profile trial consultant Robert Herschorn: “I don’t think gender matters. I don’t think age matters. I don’t think race matters,” he says. “The only question they should be asking is, ‘Did you vote for Trump?’” Maybe the question isn’t voting, since in many courtrooms, that would be an automatic sustained objection. But there are more ways to get to that target. And it is not just the cases with the obvious politics of a sitting president attacking the investigation and charges against his former campaign manager. Instead, we have found that political leanings predict a wealth of attitudes that matter to cases across the board: personal responsibility, the value of regulations, the importance of civil rights, and whether a courtroom is for punishment or for reform. We’ve found that in many to most cases, political leanings will matter. In this post, I will share some practical ideas on how to ask in ways that are effective and likely to be not too threatening to the court. Have you seen news of the investigations headed by the Special Counsel, Robert Mueller? If so, what are your views on the investigation? Do you consider these investigations to be guided by justice or by partisanship? At this point, would you favor continued investigations, or would you favor calling a halt to them? How many of you would say you’ve already formed a firm opinion on the Mueller investigation? Do you believe that it is fair to say there is no partisan political component to the move to investigate people who are close to the President? How many would say that there should be even more scrutiny of those involved with President Trump or the campaign? When you aren’t defending or prosecuting Paul Manafort, but are instead trying a case where political views are likely to matter more generally, then you’ll want to ask about political leanings in a broader frame. Here are a few direct and proxy questions that will work in getting at political attitudes in mock trials, juror questionnaires, or in-court voir dire. How did you vote in the most recent election? In describing yourself to friends, would you say you are liberal or conservative? Thinking of a spectrum, with “1” being the most extreme Democrat and “10” being the most extreme Republican, where would you place yourself? What is your main source of news? Do you think the government should be generally doing less or doing more when it comes to promoting the general welfare? What do you believe is the greatest problem facing this country? What person do you admire the most?